We woke this morning to a blanket of "snow bubbles", the bright white ground reflected in the sky above. Brightness all around. As always, it was "up and at 'em" for the busy day ahead. 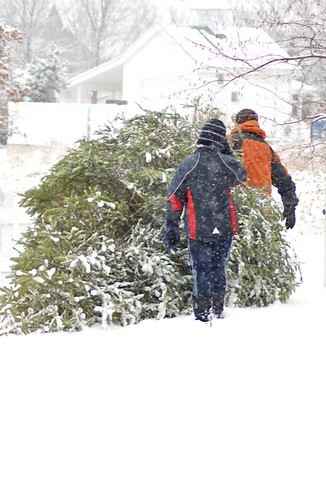 This morning we had neighbors coming to get Christmas trees...from our backyard (long story but they were ill-placed and needed to go). When I opened my email I found a note filled with gratitude and recounted memories - the bittersweet mess that is life. Linda, a neighbor, lost her husband of 18 years last year - the depth of her sorrow and immense love was palpable. Yet she took the opportunity to talk about him to give thanks. But every time I look out my windows and see the sky and clouds, the prairie, the trees and animals and one more neighbor shows their kindness and community values in action, I know I've landed in the right place. Then she provided a gentle reminder, in the words of her husband Mark (below), to cherish what really matters and hold on to those times we spend together - fully human, engaging in celebration and creating value in our lives. 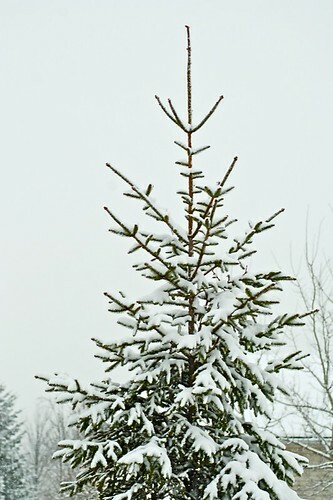 Traditions, like cutting down a simple Christmas tree, or decorating it, matter. You matter. We all matter. At any given point in time someone, somewhere is loving us - whether we know it or not. but that you see what is around you. the water is pure and the sky is blue. faith in yourself and faith in those around you. Without faith, you have accepted that the odds are against you. What really matters is learning from your failures and others experiences. What really matters is waking up, taking a breath and facing the day ahead of you. What matters to you today? How are you giving value to the things that matter? * He wrote this poem to be read taking turns by the family children before Christmas dinner one year. Thank you Linda, for your message and permission to use the contents. This is really a wonderful reminder and your snow photo is gorgeous. We enjoyed it yesterday too! I love this photo of the Christmas tree and snow! It actually is a great reminder, I agree with Ashley!